This is what everyone said when British no.1 Scot Andy Murray beat Frenchman Tsonga in the Wimbledon men's singles semi final and marched into the finals. Andy thus ended Britain's long wait of 74 years at the Wimbledon's final - a presence that was last made by Bunny Austin in 1938. 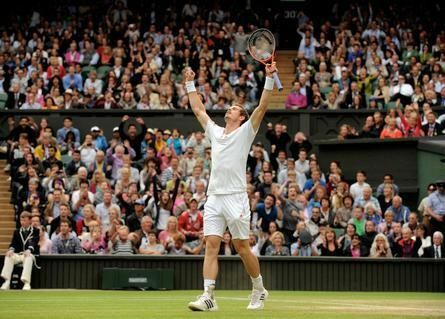 Andy Murray now faces a tough challenge against world no.3 Swiss Roger Federer, who marches into the Wimbledon final for the eighth time and eyes to win the title seventh time and equal it to that of William Renshaw and Pete Sempras, both having won the title seven times. So both players are set to make history: Andy to bring a maiden win not for himself, on his maiden entry into the final, but also to bring the trophy to his trophy starved country for 74 years. And Federer of course eyeing to win the title for the seventh time and go down in history along with the names of William Renshaw and Pete Sempras. Who do you think will triumph? 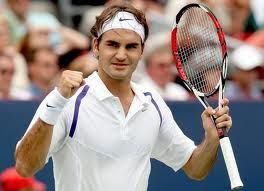 Keep your fingers crossed till Sunday 8 July when the two march into the Centre Court of Wimbledon.